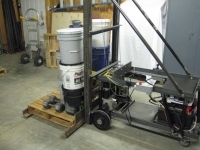 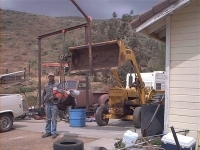 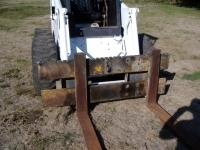 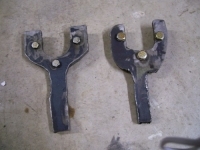 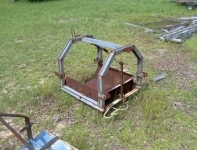 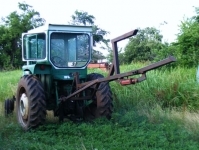 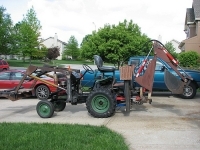 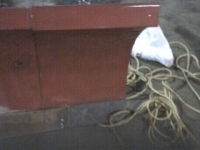 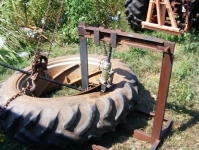 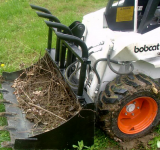 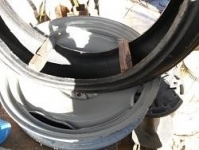 Homemade towable backhoe built in accordance with a commercially obtained online plan. 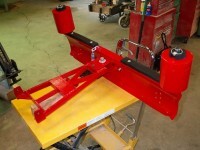 The hydraulic cylinders are powered by a 16hp Briggs engine, with the chassis and arm fabricated from plate steel and tubing. 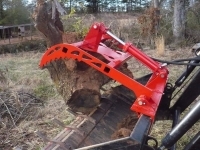 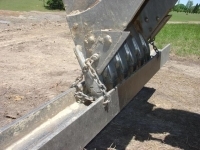 its moved by using the digging arm and pushing or pulling. 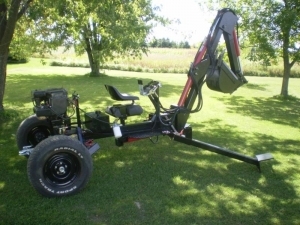 I'm amazed by the skill and ingenuity...and above all the stick-to-it-ness. 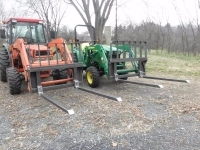 I always wonder about the towables...when they are almost in position but not quite...what provides the force to move them 1-10 feet? 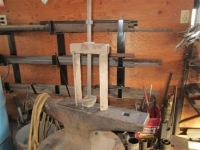 Another project that pushes the boundaries of what homemade connotes.